With offices throughout the country and expansion plans in place, Effective Internet Solutions offers several places to showcase your talent. 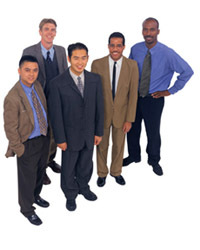 Regardless of project size, you always have the EIS team available for support. We offer opportunities in Project Management, Functional HR Consulting, Technical Consulting and Database Modeling and Development. Apply by sending an email to careers@effectiveis.com.